Near New condition. US Surplus so was probably issued but doesn't look like it was used much if at all. Includes the strap. These are genuine issue Flyer's Helmet Bags in woodland camouflage. 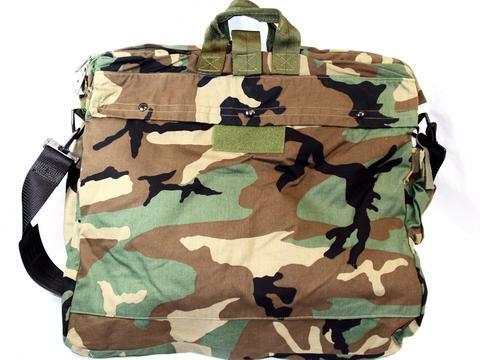 This bag fits your helmet and all other mission essential gear.